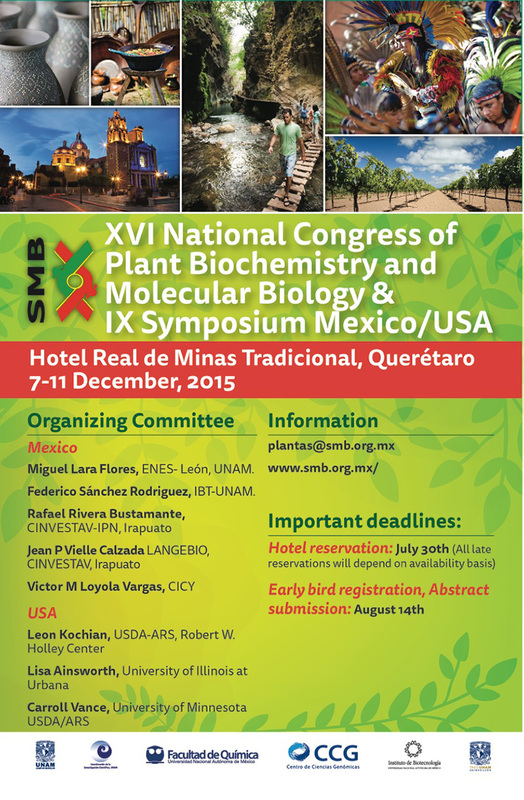 We are pleased to invite you to participate in the XVI National Congress of Biochemistry and Plant Molecular Biology on this occasion will be held in Hotel Real de Minas Tradicional, Queretaro, December 7-11, 2015. 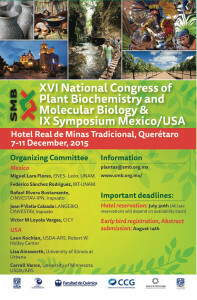 Continuing the vision of enriching our scientific meeting we will continue like 20 years ago organizing the 9th Simposium Mexico-USA, with the valuable participation of american colleagues interested to meet and interact with research groups in our country; so one of the objectives of this forum is to promote interaction and strengthen the scientific partnerships both domestic and binational. It is gratifying to note how over the years, this biennial conference has been strengthened as the scientific community devoted to the study of plant biology in our country has grown and matured. During this congress topics like plant signaling, plant microbe interaction, agro-bioechnology, genomics/omics, crop improvment, plant hormone and secondary metabolism, plant nutrition, in vivo plant imaging, development and epigenetics will be emphasis. We hope to have a strong participation of the attendees recurring and new research groups in these areas. Additionally, in order to enrich this forum, we extend a warm invitation to researchers in related areas such as botany, histology, phytochemistry, plant breeding, agricultural and forestry to improve multidisciplinary interaction, national and international. This conference will include plenary sessions, where academic leaders will talk about the state of the arte in selected scientific topics. Also concurrent sessions in which young scientists will be presenting their research work. For the high educational value of this Congress, we will have poster sessions where we expect a strong interaction between students and the scientific leaders in order to favor new scientific colaborations. Evaluation committees selected for their scientific contribution and creativity, three posters per area which will receive honorific distinction. We look forward to welcoming you in Queretaro, is a mexican state which has four World Heritage Sites declared by UNESCO: the historic downtown of Santiago de Querétaro, the five Franciscan Missions Sierra Gorda, places of memory and living traditions of the Otomí- Chichimeca and Tolimán culture are added to the list as Intangible Heritage of Humanity. 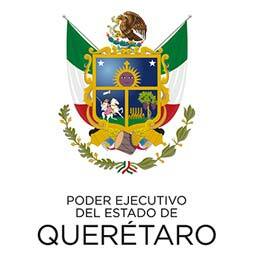 ¡See you in Queretaro 2015! Sally Mackenzie, University of Nebraska. Daniel Rodriguez-Leal, Cold Spring Harbor Laboratory. Jean Philippe Vielle Calzada, LANGEBIO-CINVESTAV. Sur Herrera Paredes, University of North Carolina, Chapel Hill. Gwyn Beattie, Iowa State University. Luis Cárdenas, Instituto de Biotecnología, UNAM. Leon Kochian, USDA-ARS, Cornell University. Jesse Poland, Kansas State University. Kiran Mysore, The Samuel Roberts Noble Foundation. Roberto Gaxiola, Arizona State University, School of Life Sciences. Mark. A. Estelle, University of California San Diego. Joe Chappell, University of Kentucky. Angus Murphy, University of Maryland. Wolf Frommer, Carnegie Institute for Science. Elison Blancaflor, The Samuel Roberts Noble Foundation. Edgar Demesa-Arevalo, Cold Spring Harbor Laboratory. Name of beneficiary: Sociedad Mexicana de Bioquímica, A.C.
You should attach your abstract and bank deposit form, when you fill the register form. Please indicate which person or institution your invoice should be addressed. New Deadline: September 11: Abstract submission. Abstract may not exceed 1800 characters, including spaces and must be submitted in English. Type Arial 12 points, single space. The submission of abstracts will be made once you have registered. Authors will be notified by e-mail of acceptance. Please select the scientific topic your abstract must be included, presentation for (oral or poster). In the case of students, add the name of the posgraduate or bachelor programme. 1. Plant –Microbe and Insect Interactions. 2. Plant Response to the environment. 6. Epigenetic Regulation of Plant Processes. 7. Plant Systematic and Biodiversity. 8. Signaling and gene regulation. 9. Molecular and Genome evolution. 10. 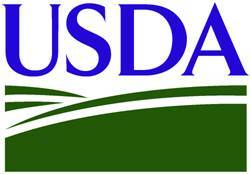 Applied Biotechnology, Crop improvement. Poster dimensions should not exceed 91.5cm (36″ in) width x 122 cm (48″) height. Text and illustrations should be large enough to be read from a distance of two meters (six feet). All posters will be assigned a number in agree with the scientific topic. You will find the number of your poster in the Program. Use the board with the same number. Posters of scientific topics 1, 2 and 3 will be presented on Tuesday 8th of December. Posters of scientific topics 4, 5 and 6 will be presented on Wednesday 9th of December. Posters of scientific topics 7, 8, 9 and 10 will be presented on Thursday 10th of December. It is forbidden to take photographs or videos of the posters without authorization of the authors. Utilities to display the poster will be provided. tips for bellboys and maid services. Children free up to: 12 years when sharing a room with adults. All late reservations will depend on availability basis, given the limited number of rooms reserved by the Congress. But in no case, reservations will be possible in this package after August 14th.